If you read our comprehensive Dell EMC PowerEdge R7415 review, you will see that a feature we highlighted was its ability to handle NVMe hot swap without issue. 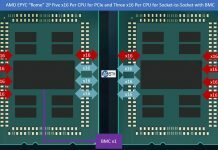 We covered the AMD EPYC platform challenges with NVMe hot-swap just after the launch in our piece AMD EPYC v Intel Xeon Scalable Taking Stock of Myths July 2017. Just after the AMD EPYC 7001 series launch, we saw that systems launched by major vendors such as HPE, Supermicro, and others did not have NVMe hot-swap functionality, even if they were using U.2 drives. While we had the PowerEdge R7415 in the lab, we tried the hot swap functionality and found it to work well even capturing the video of what happened. 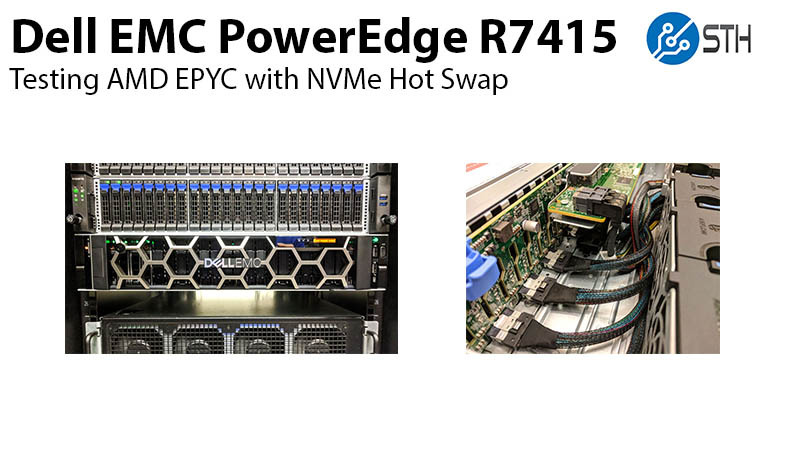 Here is the video explaining NVMe hot swap and why the PowerEdge team, albeit later to market, solved a major usability issue of the single socket AMD EPYC 7001 series platform to date. We were casually taking some footage of the 1.6TB Samsung NVMe drive’s removal. It was in a RAID 1 mirrored set for the OS. On many AMD EPYC 7001 systems without that functionality, it will crash the server if one pulls and re-inserts a drive. In the video, we also show that iDRAC logged the event, but everything operated as normal. Other vendors have implemented, or are in the process of implementing the hot swap and hot plug features on their AMD EPYC 7001 series platforms, but it has taken some time. 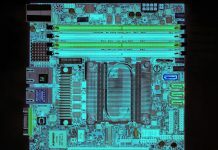 Harkening back to the Haswell generation, it took server vendors a few months to implement the functionality on Intel platforms as well. With the NVMe hot swap and hot plug functionality working on the Dell EMC PowerEdge R7415, we were able to give the server high marks in our review. 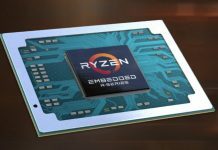 It is one of the best embodiments of what the single socket AMD EPYC platform can accomplish. It looks like a phenomenal platform and I have a few clients that are looking to buy exactly something like this. My question is how is drive compatibility, can I purchase blank trays and add my own SSDs or will that throw an error like HP servers?